See the 7 lies below — plus a holiday gift at the bottom. I love when people say this because you can tell they have no idea what they’re talking about. It’s kind of like trying to identify people with bad taste: Just go to the local Hometown Buffett. They’re all there. I hate to say it but most of us don’t need to focus on passive income, we need to focus on improving our active income — our jobs. How? By becoming more skilled, solving more problems for our bosses, and basically out-hustling co-workers. A lot of people don’t like to hear this because it means that instead of reaching for some dream of $500/day in passive income, they actually have to do some work right now at their jobs. But your job is the most likely place you can significantly increase your income. This is like a fat man swearing off sugar and delicious Taco Bell. Not even swearing it off, just saying he can swear it off “some day.” The truth is, we all know we need to save money, exercise more, call our family regularly…but there are serious barriers to doing all of these. There is significant research indicating that simply trying harder will not help you get started investing. Solution: Automate your finances so you’re not dependent on your willpower. Do you guys remember when I made fun of stupid frat-boy business ideas, the worst one being when a bunch of dudes get together and decide to start a t-shirt company? This is like that, only for grownups. At some point in our lives, each one of us will get motivated and decide, “Yes! I’m going to track my spending.” This will last about 10 minutes until we realize it’s (1) really hard, (2) we don’t like ourselves when we objectively analyze our spending, and (3) it’s much easier to do nothing than to subject ourselves to the pain of budgeting. Solution: Create a Conscious Spending Plan that will let you spend extravagantly on the things you love, as long as you cut costs mercilessly on the things you don’t. Your friend is either a highly skilled practitioner of Conscious Spending, or an idiot. What’s funny is this becomes more true as you get older, yet we get even more jealous. Think about it: How many times have you heard one of your parents ask the other one, “Why can’t we go on vacation like they do?” without understanding how their spending breaks down? Odds are, they’re not conscious spenders, but rather overspenders. The single-best book on this is the Millionaire Next Door, where we learn surprising facts about the average millionaire: 80% are first-generation affluent, invest 15%-20% of household income, buy used cars, and rarely buy expensive watches or suits. They’re the ordinary neighbors who are saving money instead of spending it on a new Mercedes. Solution: Would you look at a bunch of blue whales for advice on losing weight? Then why would you look at your ordinary friends, who are making ordinary money decisions, and will end up with ordinary results — not having enough money — as role models? Refocus your financial aspirations to people you value and their conscious decisions, not showy displays of wealth from people who are poor role models. If you suspect they can’t afford it, they probably can’t. People are delusional about what will happen in the next 10 years. For example, if you’re in your 20s, the next 10 years will bring kids, a new car, a mortgage, taxes, insurance, maintenance, travel, life insurance, medical insurance….etc. Every day I get frustrated people who tell me they’ve implemented all my strategies, yet when I tell them the next step is to implement the Ten Year Savings Strategy — where they save for the most likely things they’ll encounter within ten years — they become oddly dismissive. Solution: If you think you’ve already optimized your finances 100%, use my Ten Year Savings Strategy and ask a few people 10 years older than you what they wish they’d saved for. Then do it. Oh yeah, and if you’re “sure” you’re not going to have kids or get married because it always ends in divorce, just go hang out with your 14-year-old friends and come back here in 10 years. I am getting so mad typing this that I don’t even know where to start. First of all, let me acknowledge that fewer than 5% of people will probably ever say this, since most people don’t invest at all, then turn 40 and get scared, call their HR rep, set up some kind of mis-allocated 401(k) plan, and then go on their merry way whistling and eating walnuts. So if you’re thinking about this, it’s actually a good thing — it means you’re probably thinking about investing far sooner than others. Unfortunately, “investing” does not mean picking stocks. It also does not mean buying a house, but that’s another story. Even the fanciest portfolio managers fail to beat the market most of the time, which is why I argue for target-date funds, where you simply pick a fund determined by your age, set up automated payments, and get on with your life. It’s also critically important to note that your asset allocation is more important than the individual investments you make. Think about it like this: If you write a book, your Table of Contents is more important than any individual word you write. Yet people obsess about the words instead of spending the bulk of their time on the TOC. Solution: Stop trying to pick stocks. Instead, automate your investments with target-date funds or, if you really want to control your investments, a group of low-cost index funds. No it’s not. This is the excuse of lazy people who don’t want to spend a weekend learning about money, but instead worry and complain about it for the rest of their lives. I’ve said it since this site came out: “Rich” isn’t just about money, it’s living a rich life, whether it’s buying nice clothes, traveling around the world, spending extravagantly on your hobbies, or spending as much time with your friends/family as possible. But part of that is money. If you haven’t optimized your money — whether you earn $35,000 or $350,000 per year — it doesn’t mean you’ve taken a principled stand against consumerism. It means you’re lazy. Solution: Take one weekend to learn about your personal finances. Once you automate your money, you’ll never worry about it again. My new Ultimate Guide to Personal Finance. This is an excellent place to learn more simple ways to improve your personal finance and money management. I definitly can related to the traveling comment. My friends go on cruises a lot and them come home and drive BMW’s and watch TV on their new plasmas… Meanwhile I watch tv on my laptop via hulu, bike to work, and find free activities to do! Although when I am 40 I’ll probably be financially free and buy as many of those walnuts you spoke of in your post. Good info, thanks for the share. Houston, we have a typo (a funny one, at that). – “Get the 1st chapter of my New York Times best-selling book for free.” I am getting so mad typing this that I don’t even know where to start. – “Get the 1st chapter of my New York Times best-selling book for free.” No it’s not. This is the excuse of lazy people who don’t want to spend a weekend learning about money. Wait, wait, wait. It seems like all titles on your blog are screwed up. I tried 2 browsers. It seems everyone wants to make lots of money doing little work these days. What ever happened to work ethic and basic finance like spend less than you make? Not a lie since, uh, yes, I do want to make passive income. As well as increase my active income. These things aren’t mutually exclusive. Not a lie. Over the last few years I have managed to save money by trying harder, in addition to automation. Again, not mutually exclusive. I automate enough to take advantage of employer matching in a pension, and fill up an ISA (rough UK equivalent of a Roth IRA), but I still ‘try harder’ each month to see how much I can have left over at the end of the month, then save it. Next year, I’m going to try harder still. I’ve cut down on my alcohol consumption recently – that should be a good $30 or $40 a month I can save by ‘trying harder’. Not a lie. Budgeting isn’t hard – just let software take care of categorisation (e.g. mint or yodlee), and after a couple of months to get an idea of where your money is going, set some monthly budgets based on whether you want to increase or decrease spending in any given area. The software will track it all for you, and notify you when you are getting near a limit. This is trivially easy. It’s not about counting pennies. Not a lie. I *do* have friends that take multiple vacations a year and earn less than me. a) I’m not jealous, I prefer to vacation in my garden with a pile of books. b) Yes, they probably are in debt because of it. That doesn’t mean I’m lying to myself though. Not a lie. This is utterly condescending. I didn’t want kids when I was 14, I didn’t want kids when I was 24, and I still don’t want kids now I’m 33. And I paid off my car 4 years ago; it still only has 50K miles on the clock and I expect it to last another 10 years. Believe it or not, Ramit, some people really don’t follow the only path that you personally can see. Not a lie. I already have enough money going into index funds (maxing out my employer match and my tax-sheltered ISA allowance). Now I intend to start buying a small portfolio of individual dividend-yielding stocks, and I already have an options plan with my employer. OK, this one I agree would be a lie – though I’ve never, ever met anyone that seriously believes this. Great post! I think #7 is very important. It allows people to live their lives without even trying to improve their financial situation. It is insidious because people are not aware of how destructive it is. Russ, I think the problem with “passive income” is that it is largely a myth. The term persists because it sounds extremely attractive. Who WOULDN’T want “passive income?” You invest it once, then sit back and do nothing as the cash just flows in, “passively,” forever. The truth, unfortunately, is that there’s no such thing, in my opinion. Many of the investments that are often described as “passive” aren’t, really. They require ongoing attention and work. Rental properties effort to maintain and repair, as well as chasing tenants for rent, and finding new ones when they move out. Dividends are unpredictable, and have been shrinking a lot lately. The interest from CDs and T-bills are too low to be a practical source of income replacement, unless you’re able to save up several million. Patents, royalties, real estate – they all require periodic work on your part. Thus, in my opinion, it’s best to simply let go of the fairy-tale notion of “passive income” and simply accept that if you’re planning to live off an investment portfolio, it’s going to take at least a little effort and attention on your part. I agree completely, but I think it’s semantic squabbling to define ‘passive’ as “absolutely 100% effort free income forever”, which is what you appear to be doing. If you could put up a website that generated $20K of income and required 1 minute of maintenance per year, would you consider that active or passive? What about if it took 10 minutes a year? An hour a year? Where do you draw the line? I agree that real estate is not passive income. I have a small amount of money in a REIT, but that’s just part of a diversification strategy (I have a little gold for the same reason, and obviously that generates no income either). However, I *do* classify dividend and bond income as passive, even if I have to spend a couple of hours a year rebalancing the capital. It may or may not be true that they will never completely replace my active income, but then my whole point was that active and passive incomes are not mutually exclusive. If dividends never replace my salary, that’s not a reason to ignore them. I would agree with Russ on lie #1. Active income and passive income isn’t mutually exclusive. I do feel your solution is helpful and correct – for those that have a job, that is where they currently make most of their income. And they should focus on maximizing money from that. But your solution, rather than shutting down passive income to those who wish it, could go further and offer starting points for generating it. Finding what you’re good at, passionate about, and could help people, then creating an information product, affiliate marketing, etc. Also, perhaps you could guide those people’s desires in the right direction as well. People that focus purely on wanting passive income is the same as those who focus on “making more money.” You could help them answer the question: Why do you need passive income? To free up time to spend with family/friends, be location-independent, generate more income to buy something that the income from your job won’t allow, etc. If we’re focusing on big wins, this is obviously true. It’s difficult to imagine a strategy for generating passive income that can be executed more quickly than negotiating a salary increase. As for the point about how most people talking about passive income not knowing what they’re talking about, I can see why that rubs folks who talk about it the wrong way. But the folks I know who talk about it, to a man, make the vast majority of their money from their jobs. It’s worth looking at your life as it is at the moment, not how you dream it will be once your 4HWW strategy you still haven’t started gets going. Has Ramit met anyone or know anyone who’s made passive income??? My phrase of the day is “whistling and eating walnuts” — I don’t know what it means, but I like it. I’m not sure if it’s my browswer or not but I can’t see the 7 points, all I see is “Get the 1sr chapter…” 7 times. If it wasn’t for Russ’ comments I wouldn’t have known what they were. #7 is my favorite point. I really agree with this, and I find when you make earning money your goal (and talk about it) — people feel defensive.I often hear in response, “Well, you’ll be working your life away” or “It won’t make you happy”. I think people miss the point of money being a tool that grants you freedom. Yes greed can change people, but you need some of it in order to get you to change your situation. Yeah, there’s a problem with Ramit’s style sheets. One of the header styles (h2) is replacing all the headers on the website with “Get the 1st…” I see it on his main page, in every article, everywhere. The only reason I knew the “Lies” was from looking at the source code for the web page. Hopefully he sees it and fixes it soon. Will fix ASAP. Thanks all (especially Kevin for identifying the problem). Personally, I don’t like having my month-to-month income tied inextricably to my moment-to-moment activities. I would rather work on something, detached from the time clock (and a fuzzy, techy, come-in-whenever-you-want-but-stay-late time clock is still a time clock), and get paid for the results. Earning income in my sleep is not my goal. My goal is being able to work ACTIVELY on something with a beginning, middle, and end, and then take a break, rather than being stuck hustling and a**-kissing on a day-after-day grind. A friend of mine is a mountain trek guide: he takes groups up twice per year and rests in between. Now, that’s very active. It is not day-to-day, though. @ID: I’m one of Ramit’s friends and I’ve made several hundred thousand dollars of passive income–by selling my business. Another way is to write a best-selling book. You can also create and sell an information product. None of those are easy, but they do generate a fair amount of income. 99% of those who try to do one of the above will fail. Also, I like eating walnuts and skipping! Delicious and nutritious! I’d add that some people build some unrealistic budgets and spending plans. You will spend money eating out. Not everyone can maintain ‘gazelle intensity’. I paid off all debts, but my student loans. My ‘secret’? I automated all regular and extra payments. You can save yourself time and money by setting it up on bill pay. @Erica. Thanks for answering @ID’s question with a little editorial thrown in. I agree with much of this. I especially agree with the part about will power. I know a few people that have the will power for this, but they don’t care about making money. Ergo, nobody gets rich on their own. Having things automated is the way to go! Saying things like people who talk about wanting passive income “have no idea what they’re talking about” are the things the big blogsters, and for that many financial writers, say to get attention. No one gets attention for saying the boring but obvious stuff. If you define passive income how the IRS defines it than I know lots of people making big money from passive income, and they all seem pretty pleased with it. I just started to automate my retirement, kids college (2 ESAs), life insurance, and any bill that I can pay online. Makes it much easier! Way to be judgmental, Ramit… I don’t think point #5 is getting enough attention. On what do you base your assumption that everyone who doesn’t intend to get married/have children is a 14-year-old? I understand that you’re trying to stir up some controversy and raise some noise (hell, otherwise I wouldn’t be posting this), but not everyone is sheeple you make them out to be. I’m in my mid-20s, no debts other than my student loan, committed bachelor, great at budgeting (otherwise it’s not always easy to see where your money goes) and my annual stock returns are 72% (no, that’s not a typo – it’s seventy-two percent). Am I unlike most people out there? Maybe. Am I a liar? I daresay I’m not. I do not agree with you on lie #1. I do WANT to make more passive income and its possible in several ways. Royalty on books is one such way (i have some ideas on writing a book!) and I think Erica has it right on the button. Very interesting interview re. negotiation – thanks for that! I was just wondering – anecdotally, do you think the process differs much in the UK? Business in the US can be so different from here; I’m just wondering if in practice the culture here is very different, on the recruiter side. Would love to hear if you’ve discussed this UK friends and what they thought? An excellent point, I’d also like to mention that even if you are the next Warren Buffett you still need half a million to pick individual stocks! I’m glad to hear you did well this year, but do you really think that you have a significant enough edge that will let you consistently beat the market? Will you have an advantage for many years to come? Remember that you never know who is on the other side of the trade, given the numbers it is most likely a mutual fund with a research department. What is the chance that they just might have more information then you do? My bad – I should have written *average* annual stock returns. As in, I’ve been doing this for quite a while. 😉 I’m a self-taught day-trader. I don’t deal in information and inside tips – I have software that finds stocks whose short-term patterns match what I’m looking for – but that’s a whole different story. Night Runner, i think you gotta cut the writer some slack. as a writer he needs to write in a sensation way to catch attention which i feel were most of his articles. you will see more articles that makes sense and help at sites like GetRichSlowly.com or DigeratiLife.com. Dude your blog/book is awesome but not everyone is going to end up with all those kids/marriage bills. Seriously not. I spent $20,000 this year trying to be able to get those bills. Anyway, I know you are just trying to teach people to be responsible so I am not hating. Can you introduce me to your friend who spends $21,000 a year going out? The most annoying myth is that you have to somehow hurt someone to get rich financially. People just hear too many bad stories and tar everyone with the same brush. Good list. 95% of Americans aged 55 have been married at some point. About 50% of American households (over 60 million people) are headed by a married couple. The average age of first marriage or men is about 28 and for women is about 26. 46% of American families have a child or children living at home under age 18. About 80% of women have a child by the time they are 40 years old. I couldn’t find exact numbers for cars, but about 13 million cars sold last year, about one per 23 people. So we could estimate and say that maybe 2 or 3% of the American population under 55 have never been married, never had kids and never bought a car. Out of 35 comments so far, 3 have said BS to Lie number 5. Statistically, 2 of you will get married or have kids anyways. Think about that! Enjoyed the article, Ramit. Averaging 72% returns is unreal- Peter Lynch only averaged around 30% but he did it for twenty years. Sustaining that 72% returns would make you the best investor in all of history, by far! That’s a pretty extraordinary claim to make isn’t it? >The half-million figure assumes that you earn an annual salary of >$57,000. Au contraire – you can live like a king in Latin America for >just $10,000 a year. Yes, but I’m writing to primarily a US audience- the median US salary is about 50K- so after a bit of rounding it’s $500,000 to start considering picking stocks. I just wanted your input on Suzie Orman stating that she thinks real estate is the best investment out there (if you have 20% and a 30 or 15 year loan with a good interest rate). She recently stated this on MSNBC. Since you mentioned she is one of the people you follow I’m wondering why you think real estate is such a bad investment. Al, I don’t agree with Suze based on a variety of reasons, including historical returns. I’ve documented why real estate is often a bad investment in extreme detail in Chapter 9 of my book. 72% returns are far above what most people make (or aspire to make), but if you know how to day-trade, analyze charts on the go, etc., it’s possible. I am not alone – there are others out there, whose returns are in triple digits. We just don’t like to advertise (much :)). My point about Latin America is *exactly* for the US audience. It’s called geographic arbitrage: if you don’t really care *where* you live, you can live like a king on much less than you’d have to spend here in the States. After all, your original point was about having enough money to live off your investments, right?.. 72% returns are certainly possible for a year. Maybe two. Maybe even more. But not consistently, especially when you factor costs in. I outline this in detail in Chapter 6 of my book, and I highly skeptical and critical of daytraders (nothing personal, Night Runner). And of course there are dedicated bachelors. It’s just that odds are you (or anyone reading this) are not one of them. Statistically speaking. I don’t real estate is a poor investment choice. I think many people do it incorrectly. My friend has invested in real estate since college, using a low interest student loan to make a down payment; ever since then she has invested in condos and homes. She has over 30 properties now, which she manages with her husband and they’ve never lost money on a property. She’s only broke even one time. But they were always conservative about their approach and made sure they would not bite off more than they could chew. They both worked full time jobs and never took a loan they could not afford to pay on their own. And now they have f you money….now that’s a goal to strive for…. jesuisSUCCÈS.com – Développement personnel, connaissance de soi, accomplissements et succès » Augmentez votre intelligence financière. Revenus, investissements, business et économies. Night Runner… you are flaming Ramit for the same traits you seem to have. Might want to check into that. Leakhena… your friend is investing in houses as an actual business. Most people “invest” in the house that they live in. Totally different beasts really. Please post your definition of flaming, as it seems to be different from the one the rest of us use. While you are it, please provide citations showing me flaming Ramit. Did I at any point say to him, “just go hang out with your 14-year-old friends and come back here in 10 years”? Haha. You seem very testy and you seem to be the only one that doesn’t notice that. I’m not here to argue, I enjoy Ramit’s point of view, even on the days that I disagree. Merry Christmas, I hope you have a wonderful holiday season. Night Runner… the dedicated bachelor. Famous last words. Many men have tried, few have succeeded. If you are having relations with women, you have dramatically increased your chances of fathering a child. If you are having relations with the same woman more than once, you have dramatically increased your chances of getting married. That said, I have a cousin who is still a bachelor into his late 30’s with no marriage in sight, and he seems to be enjoying his life just fine. He has dodged a couple of bullets however (he’s been engaged twice), and I think it will get a lot harder staying single through the 40’s, 50’s, etc. I think a wise man would have some money set aside, “just in case”, which I think is Ramit’s point. If you make it to retirement as a single man, you can always blow it on something else. Best of luck to you. Thank you so much for that negotiating video. I wasn’t aware of the tactics to evade that salary question. Very helpful tips! I don’t really see how #1 is a lie since I certainly want to make passive income and it is far from a lie since my passive income is probably about 15X what my active income is. Of course, I also agree with Erica in her comment above that 99% of people will fail in trying to build any kind of sustainable passive income (actually probably closer to 99.9999%) so I understand your point if you are gearing your advice towards what is average. That being said, it’s still far from a lie it’s just very hard to do. Great insight. Really I’m dreaming a passive income source for my elderly future day. At least a work or property that produce money but spend less time and thought. So you think you can sustain a 72% return on investment indefinitely, eh? Ah, youthful arrogance. Enjoy it while it lasts, kid. Sink everything you’ve got into it, if you really think you’re special, but do your future self a favour, and just don’t use debt to do it, OK? Good luck. See you in 10 years, once you realize how completely unrealistic your expectations were. I love passive income. 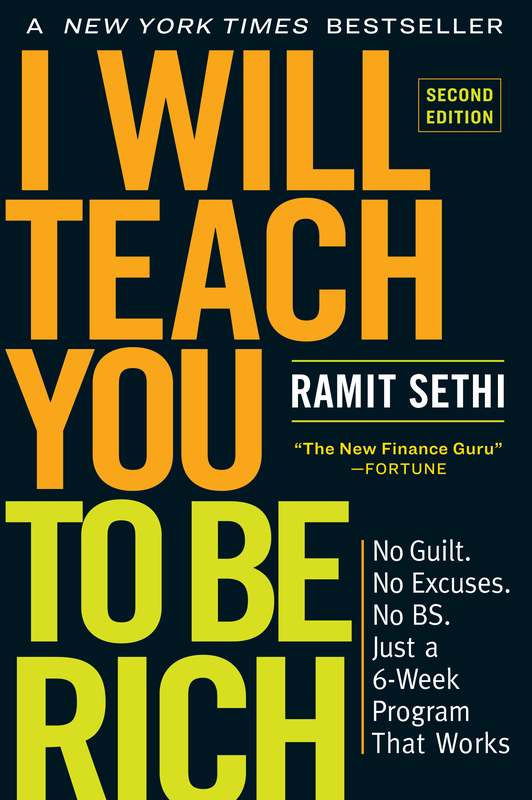 Ramit’s argument is that you by focusing on passive income you ignore active income (income from labor). But you can easily focus on your active income and your passive income. What I do is automate by putting my money into a high-yield mutual fund that focuses on income production. Then once this is done I can focus on increasing active income. The active income versus passive income idea is a false dilemma. Ever since I was 10 years old, I have had to wear glasses. Over the years, as my prescription got worse and my lenses grew thicker, a significant amount of money was invested in purchasing the thinnest and lightest lenses available. I also regularly upgraded with options such as anti-glare, UV protection, tinted or Transitions lenses, and for a brief awful while – progressive bifocals. A new pair of eyeglasses could easily cost $400 or more each year. A few weeks ago I went to an optometrist to get my eyes checked. The results were as expected: I needed new glasses with a higher prescription. I picked out a moderately priced pair – $132 for the frames, and I chose polycarbonate lenses for $195. When I made a face about paying extra to have the lenses grooved for semi-rimless, the tech took pity on me and waived the additional $15 fee. I passed on the additional $40 for anti-glare because the lenses weren’t large, and I figured that it wouldn’t make that big of a difference. I walked out of the eyeglasses store thinking that I had been thrifty, because I had “only” spent $327 on a pair of glasses that would be ready in an hour. And when I got home with my new glasses, the same ones I had proudly shown my mother and daughter at dinner that night, I thought about how I buy everything else online…why hadn’t I bothered to look? And that’s when I found out that I could have bought the exact same pair of eyeglasses I had just purchased for $150 online. Wow, how come I did not know about this before. Doing research, I would soon find that just about every single brand name sold at every single eyeglass center is available online – and always at a significant savings when factoring in the frames and lens costs at brick & mortar eyeglass centers. I recommend using the website www.eyeglasses.com, which is the one I use, but you can find a lot of good ones online. All that’s needed to order online is a current prescription from a licensed optometrist or ophthalmologist along with your Pupil Distance (PD) measurement. You don’t happen to have a copy of your prescription? No problem – you can ask your eye doctor to fax or mail it to you. Are you too chicken to call because you went to an optometrist who gave you a discounted eye exam without handing you a prescription afterward, knowing that you would buy glasses from him or her? No problem – by law they have to give you a copy of your prescription. But if you are honestly too intimidated to call your doctor and ask for your prescription, some of the companies will do it for you. So there you go. Every year I have saved hundreds of dollars, and so could you. Here are some good resources for places to go if you want to take the next steps in saving money. Um, Ramit, you are totally WRONG and OFFENSIVE and CRAZY in number 6. It’s really HARD to whistle while you eat walnuts. Also, you spray spit and walnut chunks all over everybody. IS THAT WHAT YOU WANT US ALL TO DO? Seriously though, I think the simple bottom line across all of these is that most people don’t know what they’re talking about when they talk about money. And of course this list will inflame a lot of readers, because a lot of your audience is, by now, pretty well-informed about money. Here’s the National Center for Health Statistics 2009 Brief on marriage statistics in the US. In short, about 80% of men and 86% of women marry by age 40. But, those numbers change a lot when you stratify by race and income level. The probability that a black woman will marry is very different from that of a white man etc. Also, lets remember that prevalence for a group of people does not equal probability for an individual. What percentage of people who say they don’t ever want to get married when they’re 30 end up getting married by 40? We don’t have that data. My question is – why do people get so upset about this? Some people are determined to get married, others are equally determined not to and many don’t know. I do think that implying that people who do not expect to marry are the equivalent of 14-years-olds is a bit insulting. Personally, I’m very skeptical when people say “I don’t need to worry about income because my husband has a great job.” Given the statistics on divorce, this seems like a riskier assumption to make than assuming you’ll never end up paying for a wedding. To each his own. May your weddings be joyous and not overly expensive, and may the bachelors and bachelorettes of the world enjoy their freedom for many healthy years. Love how you put this together, I work in a grocery store and every person I work with complains about money. I give them advice and they never do it, its all in the way we were brought up. What they think they are doing it right, its what they were taught was right. Until they accept it they keep on lying to them selves as Ramit elegant put it. Once again great post! Budgets Aren’t Supposed to Work. You Are. Thanks for sharing the tips. But I personally prefer point 6 (in stock market). Debate of the minutae persists even on your blog. Please continue to irritate and annoy as it it highly entertaining and does the job of making people think and do something about it. You have definitely “shown me the Money!” Planning to go to the Caribbean with my fiancee’ thanks to you! PS. Being Canadian, I want you to know that most of your approaches have application North of the border. We are taxed much higher and have higher cost of living, especially in Vancouver, so the dollars saved post tax at 47% have huge impact. totally agree w/ #1! Stick to what you know and excel at it! Many people try to juggle different things when instead they should concentrate on making themselves an expertise at one area which will be useful in the long-run. Hi, well its not impossible to have passive income, I already receive it from some of my passive investments. Also its not hard to budget, I have been doing it for the last 8 years now, and its actually very easy. Its the same thing with fat ppl and poor ppl, if you don’t plan you wont succeed and budgeting and dieting and exercising are part of the planning phase to acheive results, old money ppl know this, and so do workout gurus. Always the same advice in a different flavor. But I do appreciate you taking the time to write these articles, some advice is better than none, have a good one bye. I disagree with everything except for number 7. Also, it’s clear that the author is generating passive income himself by trying to get people to buy his books. What’s wrong with investing in real estate?